SI.com did took adidias's boost to the hardwood to see if it makes a difference. Does Boost make a difference on the hardwood? How crazy does this Crazylight play? 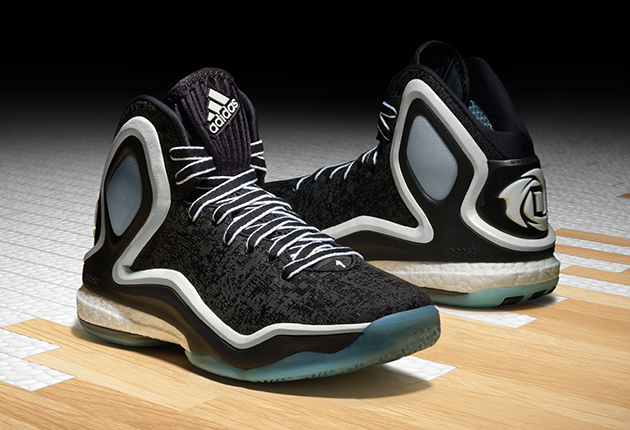 Taking adidas basketball sneakers to the court for testing provides the answers. While Nike dominates the sales of basketball sneakers in the U.S., adidas still has plenty of offerings making noise in the NBA ranks, with three signature shoes and a fourth up-and-coming style. SI.com follows up its wear test of some of Nike’s most popular models by moving into adidas, weighing the pros and cons of each shoe. For simplicity, we reviewed the mainline model of each shoe. The most prominent signature shoe in the Adidas line, the D Rose has evolved dramatically through its time. But the latest iteration brings Boost cushioning into the high-top silhouette for the first time. And Boost delivers. As we see with adidas running, the Boost technology—a thermoplastic polyurethane foam created from heat-steaming pea-sized capsules and binding them together for increased responsiveness and cushioning—provides some of, if not the, best cushioning on the hardwood. The slightly narrow design of the D Rose 5 helps provide a tight fit throughout the midsole and on the ankle, but still has high stability, especially when cutting. The maneuverability of the shoe on the court proves better than you may originally think and the lightweight model ups mobility. Baseline thought: The D Rose 5 Boost offers a top-quality shoe that ranges across varying positions. The narrow fit still offers stability, and the Boost cushioning increases the comfort level. If you can handle the aesthetics of the shoe, this easily represents the premier high-top in the adidas line. The initial release of the John Wall signature shoe brought a new aesthetic to the adidas basketball line. And while the look of the high-top shoe offers something new, the feel doesn’t wow. The J Wall 1 does offer decent stability and support, especially for guards running the floor. But we’ve tested shoes with a much lower feel to the ground and better ability to grip the hardwood during cutting. The full-length Adiprene cushioning can’t compare to Boost cushioning—Adiprene allows the shoe to come at a slightly lower price point than a Boost shoe—and the J Wall 1 lacks any cushioning benefit. 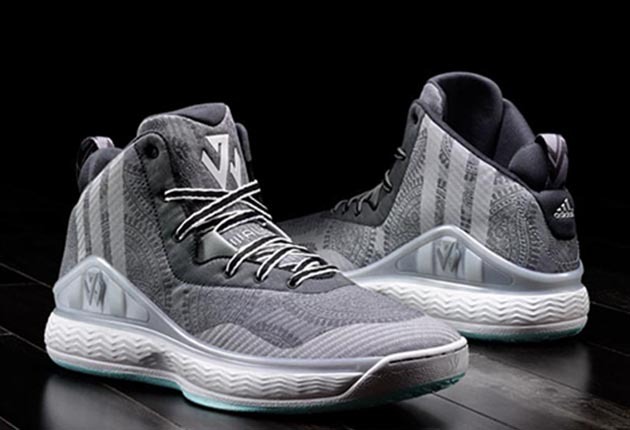 Baseline thought: Overall, the J Wall 1 has the feel of an average shoe with decent stability and support, but the lack of cushioning and lockdown feel on cutting drops the overall score of this otherwise pleasing release. The newest adidas signature model for Portland’s Damian Lillard goes low-top for the quick-moving guard. And the performance of the shoe matches the signature athlete. The D Lillard 1 easily keeps pace with other shoes in its class—across brands—for stability while cutting and the all-important lockdown feel on any move a guard may make. 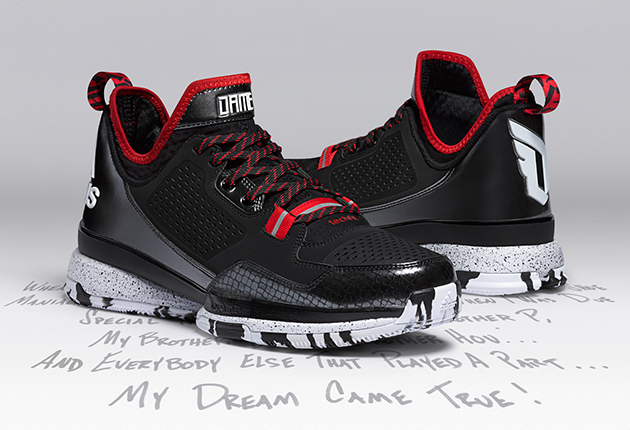 The traction on the D Lillard 1 was impressive. Where the shoe lacks, though, is in the cushioning. The Adiprene feels more comforting than on the J Wall 1, but still isn’t at the level that leaves you feeling entirely cared for. Going with Adiprene, though, has helped keep the initial Lillard release at a more manageable price point. Baseline thought: The D Lillard 1 provides a solid shoe ideal for a guard accustomed to quick cuts. The low-top frees movements and the fit keeps players low to the ground. Adidas saved one of its best designs for a non-signature model. The July 2015 release of the Crazylight Boost 2015 builds on the Boost addition in 2014 by adding Primeknit to the upper. For the first time in an adidas basketball shoe, the knit shows up, combining with additional support to form a breathable and flexible upper that still has the stability and secure feeling needed while hitting the hardwood. The Primeknit does naturally expand with the movement of the foot, offering up a comfortable feeling—and without any awkward rubbing—and the molded heel cap adds in additional support that keeps the foot from sliding around inside the sneaker. Add the Primeknit with the high-cushioning Boost and the Crazylight Boost 2015 easily comes in as one of the most comfortable basketball sneakers on the market. The low-top provides easy movement and the low-to-the-ground silhouette and quality traction keep this lightweight model performing beyond just the comfort. Baseline thought: The Crazylight Boost 2015 offers the most comfortable in the line of adidas sneakers, all while providing for performance needs. 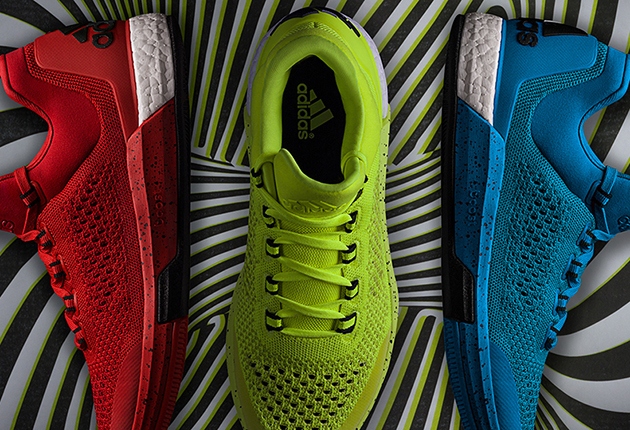 You can break down the four adidas shoes quite simply. They have a Boost and non-Boost model in both a high-top and low-top variety. The high-top J Wall 1 lacks a distinctive quality and the low-top D Lillard 1 offers up performance at a reasonable price point. But if you want stepped-up performance and comfort, slip into one of the Boost models, either the D Rose 5 Boost for the high-top fans or the brand-new Crazylight Boost 2015 for those loving living low.